In elementary schools in the Netherlands it is common for children to treat their teacher and class mates to some kind of candy when it is their birthday (“healthy” candy is encouraged by the way). Usually also a tour around the school is made where all other teachers are treated as well. The verb “trakteren” is used for any kind of buying drinks or food for others and does not necessarily require a reason. 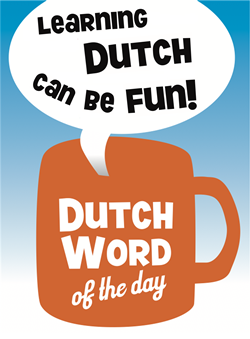 “Dutch treat” – or “going Dutch” – is used in the English language to describe the situation that each person eating at a restaurant or drinking in a bar pays for himself or herself, rather than one person paying for everyone. Apparently, the Dutch have a history of being scrooges 🙂 See http://en.wikipedia.org/wiki/Going_Dutch . We do would like to emphasize that it is definitely not common in the Netherlands that the bill is shared when dating. The one who invited the other should pay. The invited one might offer to pay (all or his or her share), but this should then be refused. However, when you are passed the dating stage and things are more serious, it should no longer be expected that the one inviting the other pays for the bill and you will have to find the equilibrium (as with more things in a relationship 😉 ). This entry was posted in Dutch word of the day, DWOTD 1.0, Vocabulary Basic and tagged trakteren by Dutch Gurus. Bookmark the permalink.